A host of famous cyclists – including Laura Kenny, Lizzie Deignan and Sir Chris Hoy – are backing a campaign which aims to get one million more women on bikes by 2020. 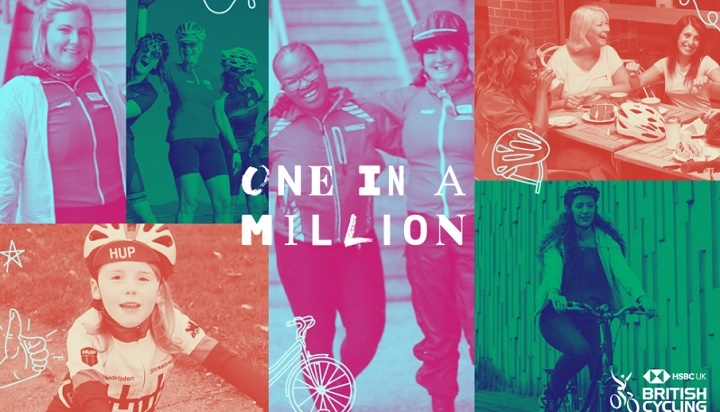 British Cycling’s ‘One in a Million’ campaign is setting out to ‘narrow the vast gender cycling gap’ and ‘create a cultural shift which normalises cycling for everyone’. A survey published as part of the campaign shows there is a ‘vast disparity’ in confidence levels among women and men, with 64% of women saying they don’t feel confident riding on the roads – compared with 38% of males. 72% of women feel there should be safer cycle routes, with 63% saying the current infrastructure does not make them feel safe; 66% have concerns over driver behaviour. Further research also shows that 69% of frequent cyclists in Britain are men, compared to countries like Denmark where male cyclists only account for 47% of the total. 36% of women – equating to 9,720,000 people – say they would like to cycle more frequently. Julie Harrington, chief executive of British Cycling, said: “Aside from reaching our million women target we want to create a cultural shift which normalises cycling for everyone – so that an equal number of women to men are riding bikes in this country. “Cycling is increasingly being understood as a fundamental part of the solution when it comes to issues of public health and air quality; however change will not come unless people feel safe on the roads and we know this disproportionately affects women. Sir Chris Hoy, an ambassador for the campaign, said: “Cycling, in all its forms – whether it’s commuting, competing, coaching or as a career – must be just as appealing to women as it is to men. And it’s really important that everyone involved in cycling takes responsibility for this. 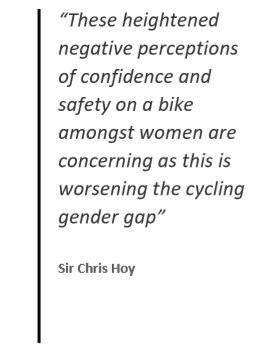 The critical : point 72% of women feel there should be safer cycle routes, with 63% saying the current infrastructure does not make them feel safe; 66% have concerns over driver behaviour. Never mind a cultural shift , a change of infrastructure is needed.